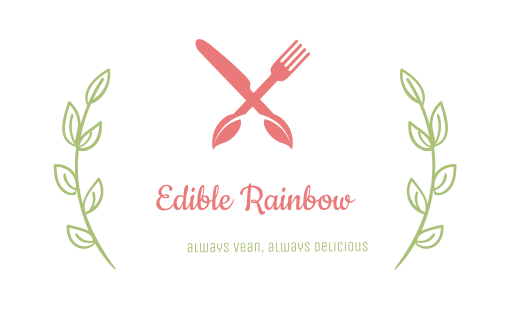 April 8, 2018 My Edible RainbowLeave a Comment on Starting my Garden! For some strange reason Winter is really not trying to leave! In North Carolina we are currently on our 22nd Winter this season! Well…not really, but we get a good 2 days of Spring, followed by a week of cold rain, low temperatures and hale/snow. It can be a little annoying when you are eager to enjoy the sun and start your Spring off right by beginning your garden! Though Frosty the snow man has not packed his bags yet, I have decided to start my garden anyway! I have not been gardening for long, last year I took it slow by planting herbs like, parsley, cilantro and basil. This year however, I want to earn my green thumb strips and plant actual fruits and vegetables! Because we are still experiencing pretty cold days and nights, I decided to start my garden indoors. I have planted cucumbers, tomatoes, sweet peppers, watermelon, strawberries and cantaloupe. For now I have my seeds planted in little biodegradable pots that I will then transfer to my backyard once they start the sprout and spring really does show up. I am not a garden expert by any means, this is all a learning experience for me. I am however, very excited and if I can get at least one edible fruit or vegetable out of this harvest, I would be so proud! Of course, I will keep you guys updated with the growth of my garden and all that I learn throughout this experience. In the meantime, if you are experienced in gardening I would love to hear from you! Any tips, personal experiences and/or words of encouragement would be greatly appreciated.